8x Champ, Multi Champion - 2014 Get of Sire! 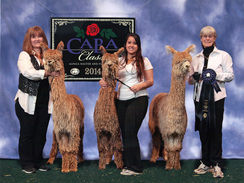 Zapotta placed first in the Get of Sire Class of seven at the 2014 CABA Classic where he was competing against the accomplished Accoyo Peruvian Rockstar, Chakotah's Wyuna, MacGyver's Balboa and Accoyo Rico, just to name a few of the notable herdsires represented! ELECTRA is one of our favorite girls. 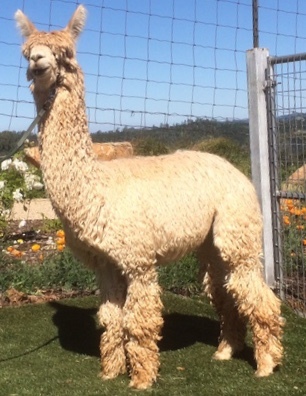 She is a beautiful female with lustrous fawn fleece, consistent lock, great density and fineness. 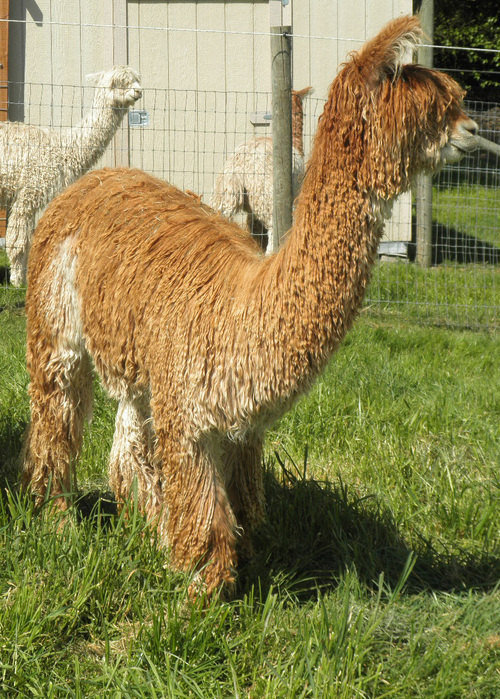 She is a wonderful mom with an abundance of milk and has stunning cria! Check out her son, Tabrizi!! Full Accoyo, 4x Champ, TOP 1% OF EPDS, 2015 - 2018!!! MULTIPLE CHAMPION AND GET OF SIRE WINNER! 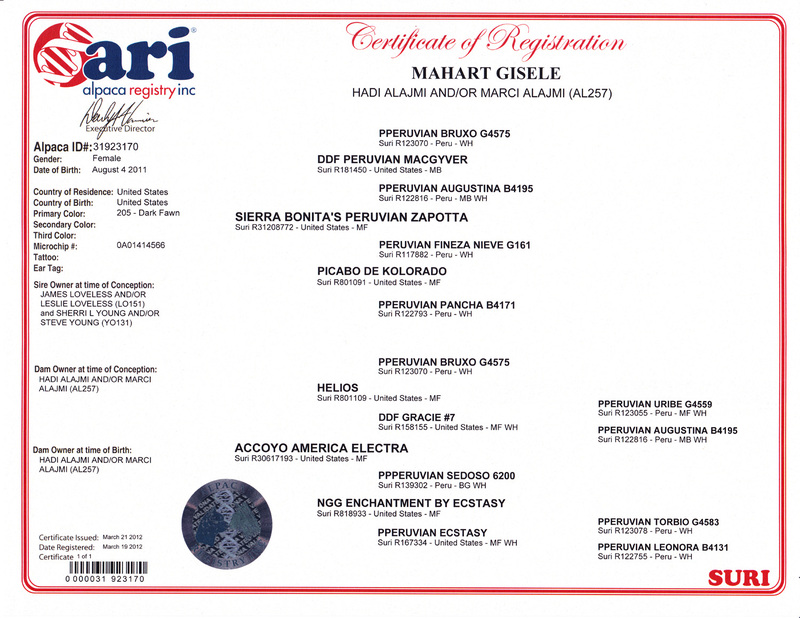 TWO (2) BREEDINGS AVAILABLE FOR A LIMITED TIME: DO NOT WAIT! 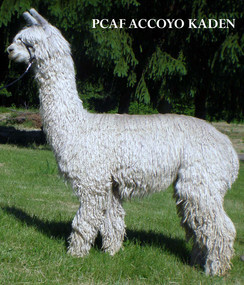 Accoyo Kaden is a male that can take your breeding program to the next level and diversify your lines with exemplary genetics. Kaden is ALSO letting color through, very rare for a Full Accoyo. Gisele is the perfect name for this stunning supermodel of a girl. 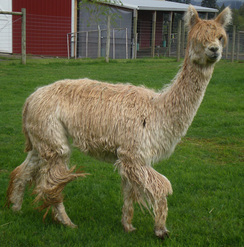 She has a long, flowing dark blond fleece with gorgeous luster and those fabulous flat wavy locks that are consistent across her blanket. And look at that stunning pleasing head covered with that fleece! 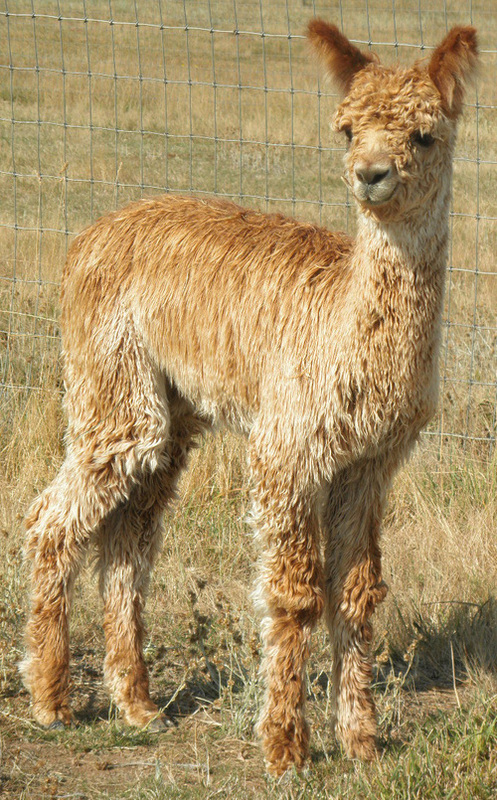 This 3/4 Accoyo female is a knockout and oh my gosh, you should see the cria she produced by Accoyo Kaden. We are looking forward to seeing another his offspring in 2019. Now you can make this duo yours!